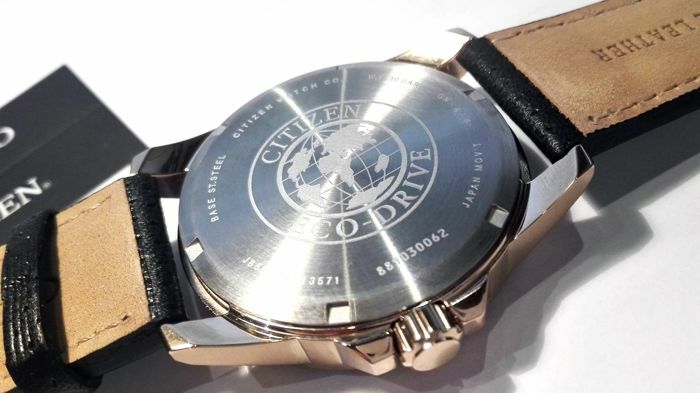 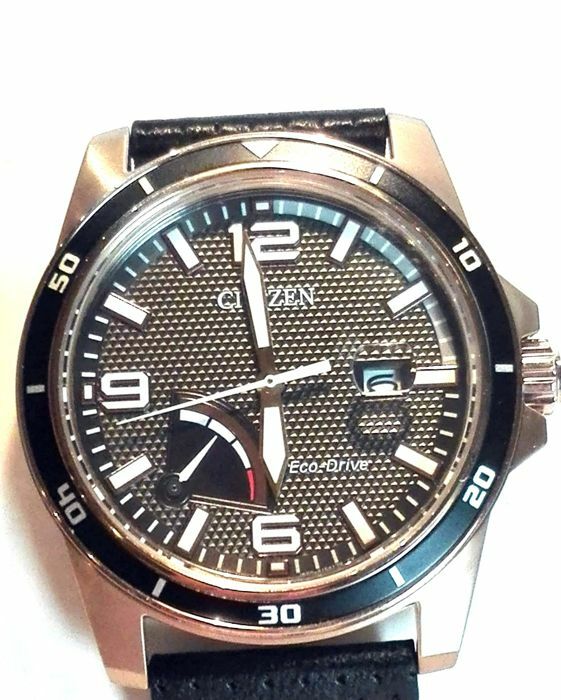 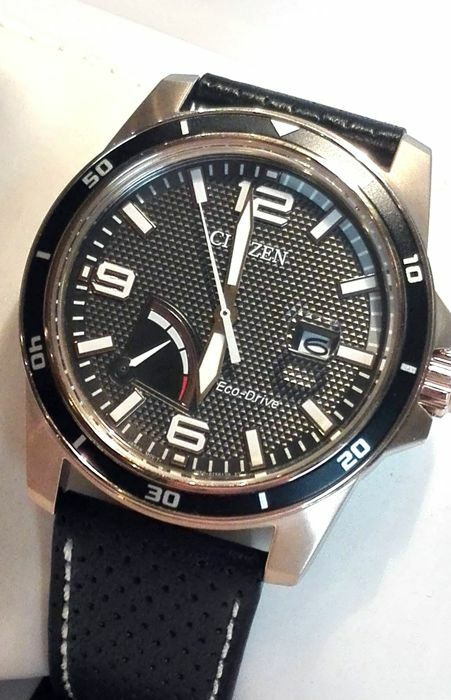 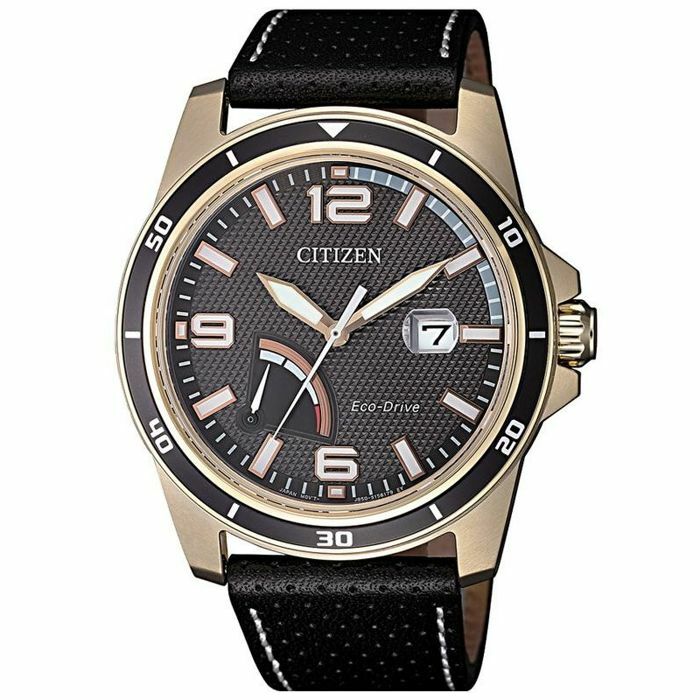 Up for auction is this wonderful Citizen in 18 kt rose gold-plated steel, 8 month power reserve, new complete with box, papers and official 2-year guarantee. 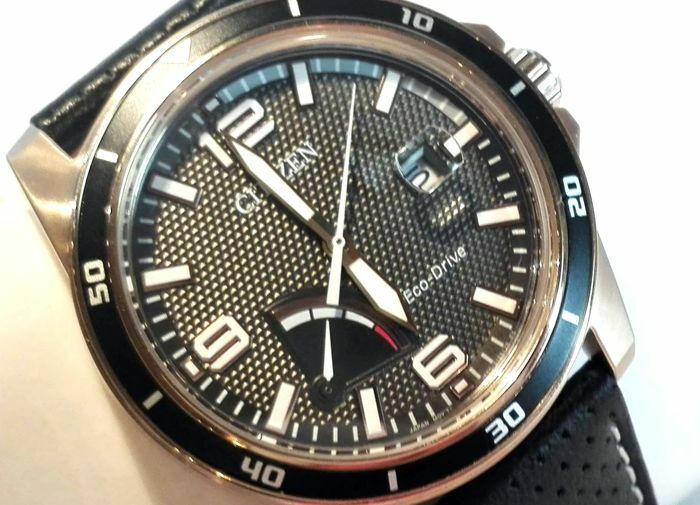 Very unusual black dial made with great attention to detail. 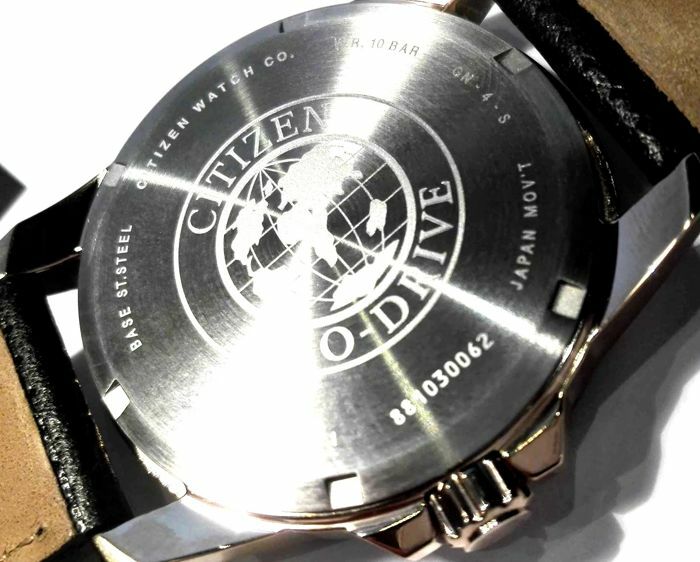 This watch will not go unnoticed when worn. 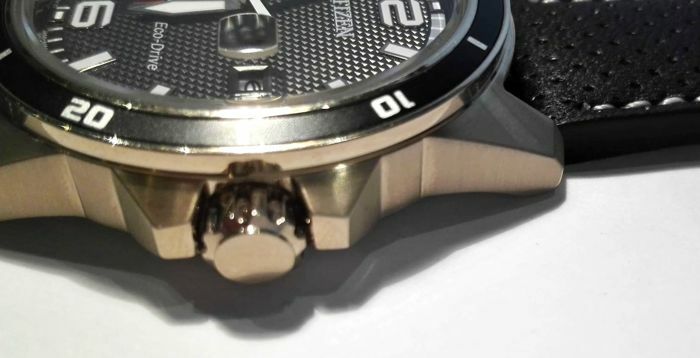 Casing in 18 kt gold-plated, polished IP stainless steel. 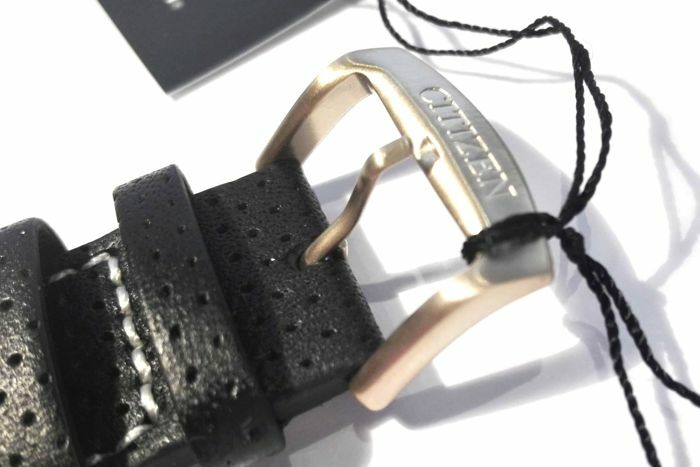 Black leather, perforated strap with visible stitching. 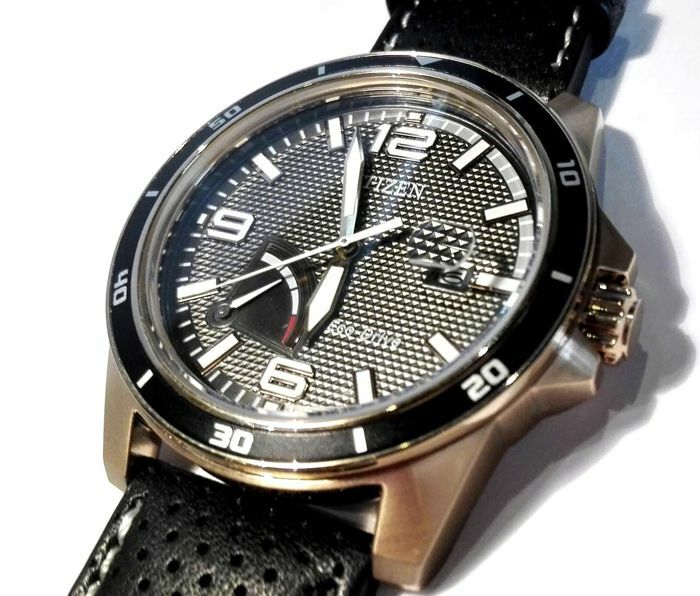 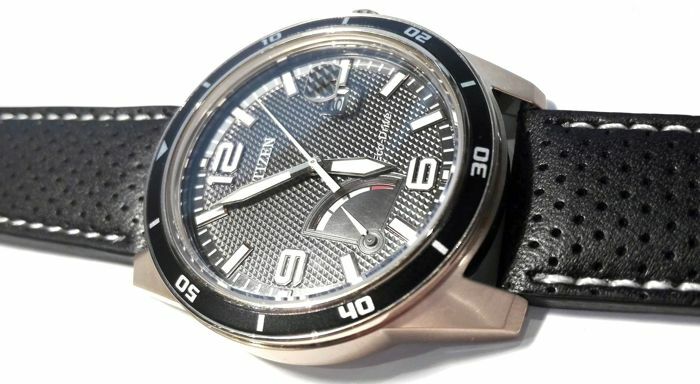 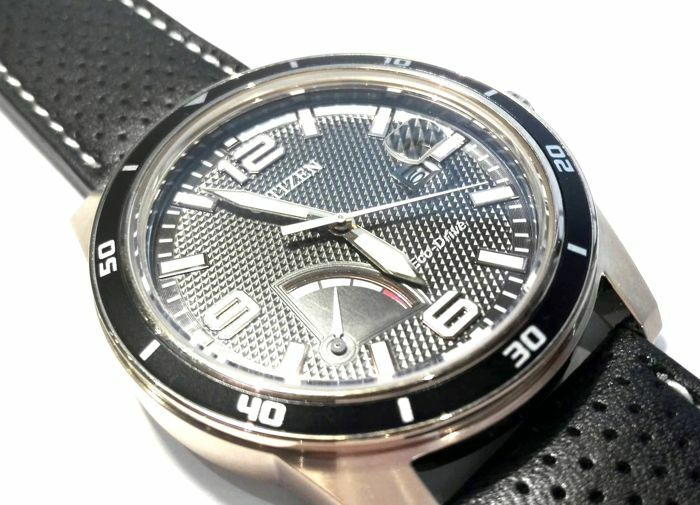 Eco-Drive technology, solar powered calibre J810. 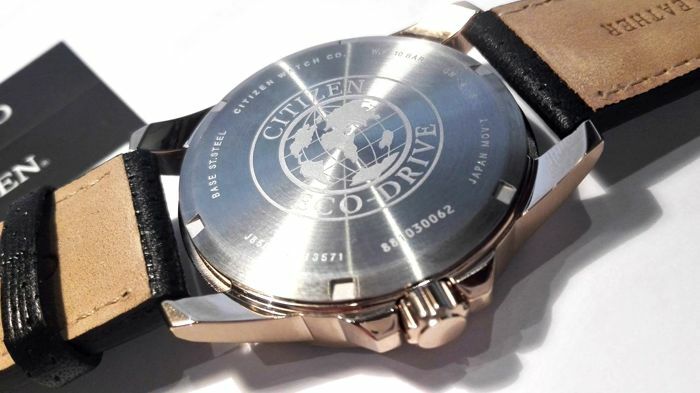 Scratch resistant, sapphire mineral crystal. 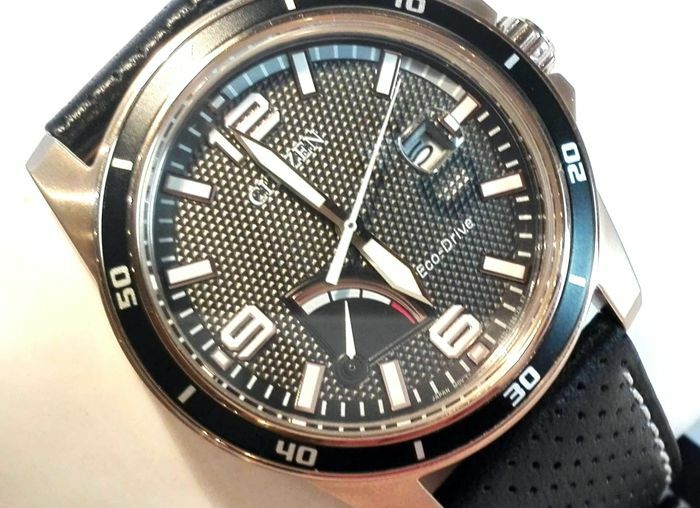 Black dial with very unusual and refined hour markers. 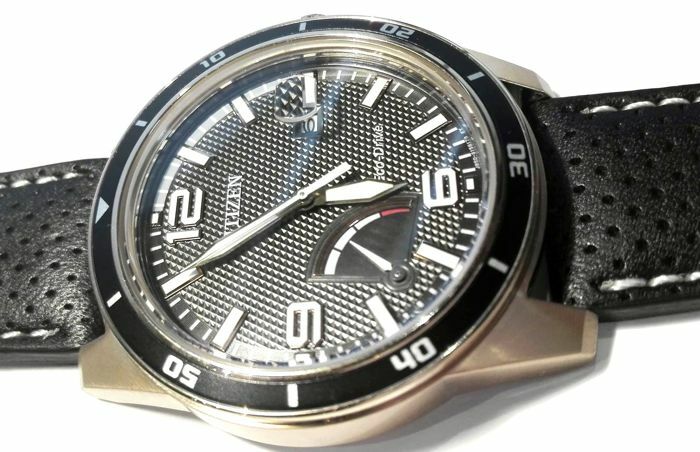 8 month power reserve with indicator on the dial. 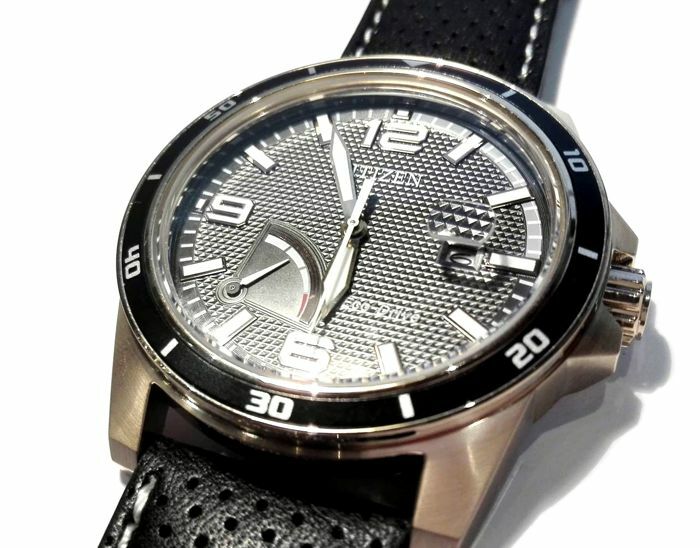 Eco-Drive solar-powered movement, calibre J850. 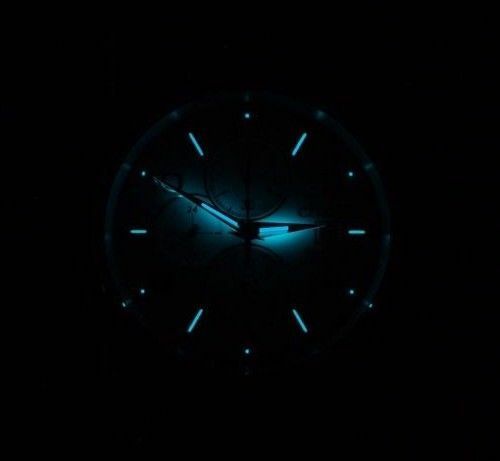 Time and date functions with magnifying lens at 3 o'clock. 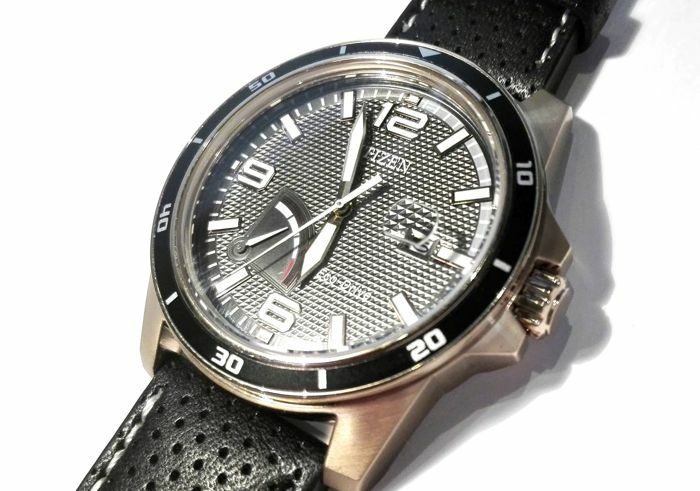 Water resistant to 10 ATM (100 m). 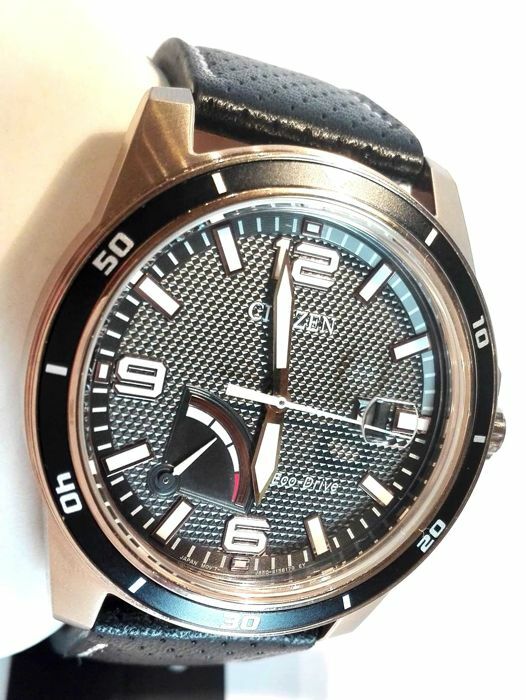 Strap length: 13.00 + 10.00 cm, including buckle. 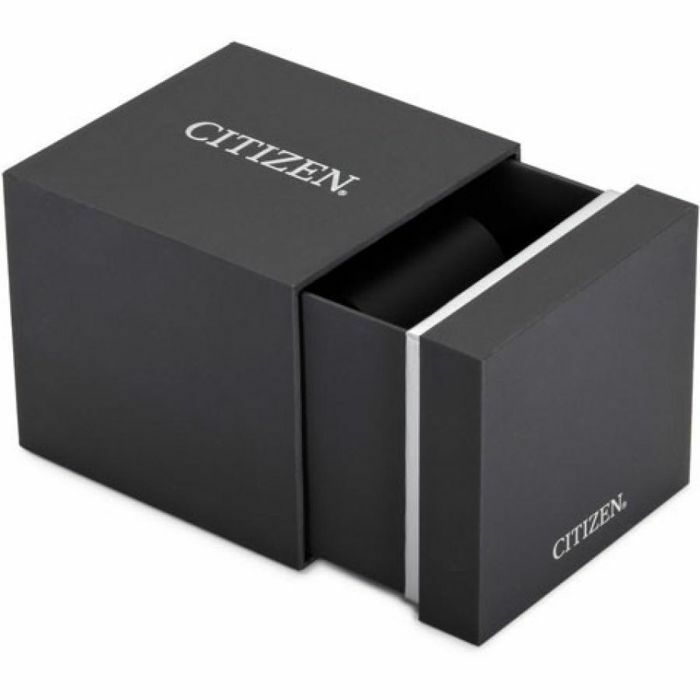 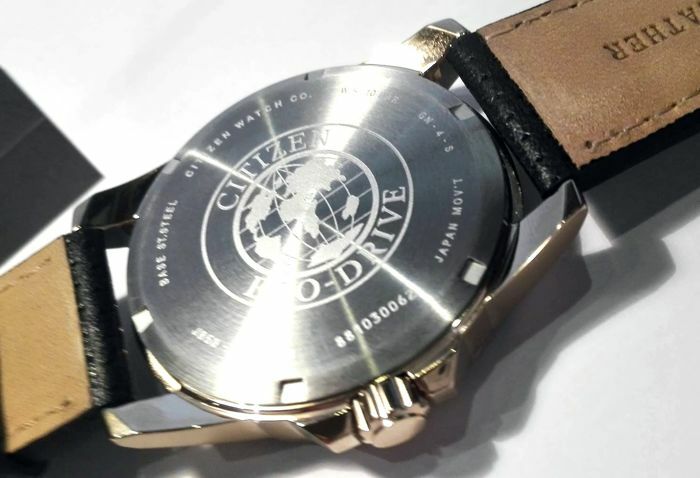 The watch is new and comes with an official 2-year guarantee, box and official papers. 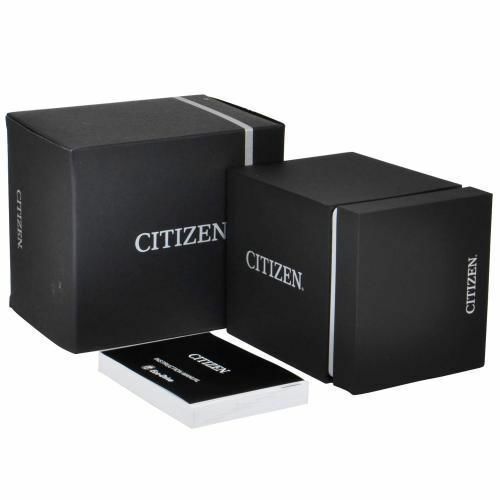 Worldwide shipping by registered mail. 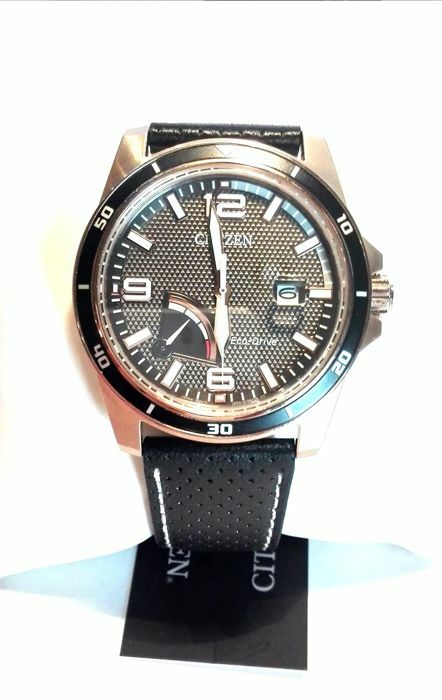 Please see our other items up for auction.